The Thunderbolt just can't come soon enough, can it? It seems we've been talking about this beast forever, and Best Buy even officially announced pre-orders, but the uncertainty regarding the actual release date has been killing us. Is it the 14th, the 24th, or something else? 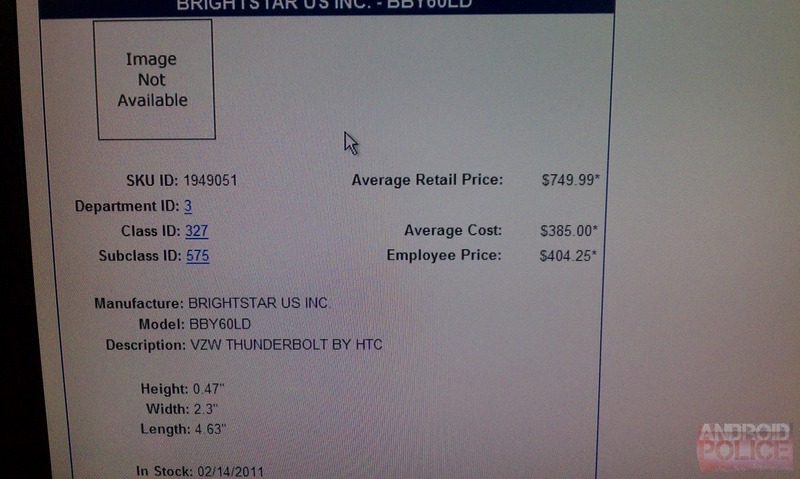 And now it's not the only thing killing us - a tip confirmed by 2 sources points to a whopping $749 full retail price of the Thunderbolt, at least judging by the information currently in Best Buy's systems. 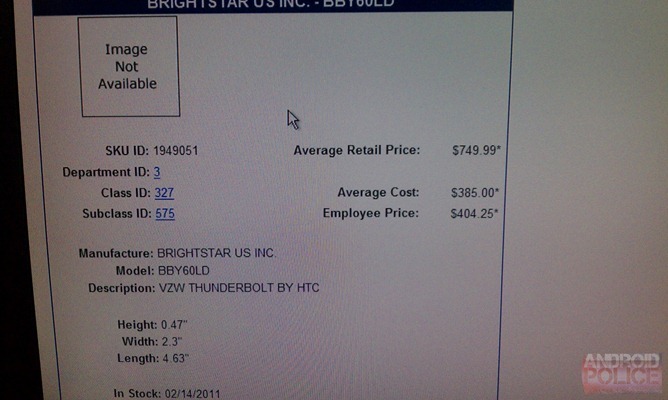 Earlier today, Droid Attic posted a snap of what looked like an internal Best Buy Thunderbolt page, listing $749.99 as its full price. See the cursor next to "VZW"? A careful commenter pointed out that this disproves the photo's authenticity because that field is not supposed to be editable. Anyone planning to do upgrade to this device before contract expiration should now probably think twice, if the $749.99 price ticker does not change by launch date. What say you, readers - is Best Buy aiming a bit too high here?